A liberal is someone with ideas that are to the left. While conservatives have ideas that are to the right. The left and right are terms that originate from the British parliament. The liberals would sit to the left of the government hall while the conservatives would sit to the right. So this has coined some often used terms in American politics: left and right. 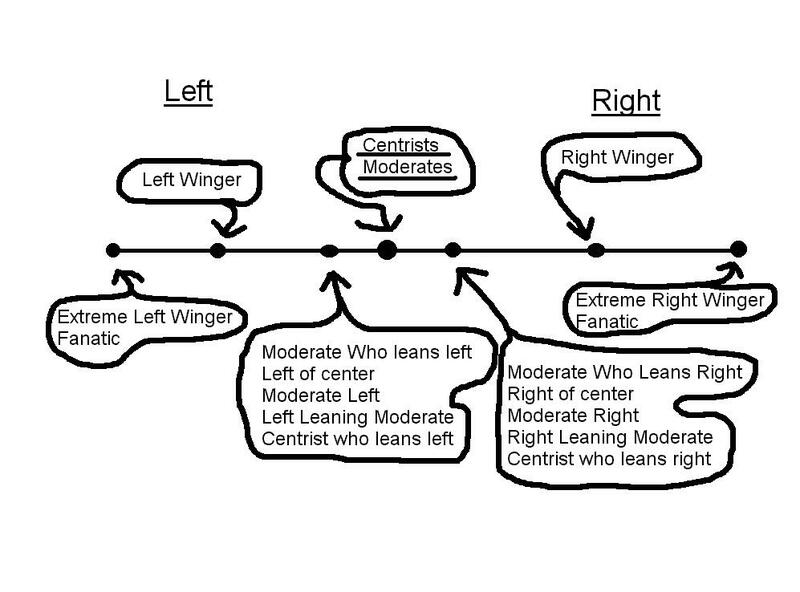 You will often hear of people being described as 'far left' or 'far right' or 'middle left' etc...People exactly in the middle of the line (meaning they have ideas that are left on some topics but right on the other) are refered to as moderates or a less often used term is centrist. Often times you will also hear that someone is 'left' or 'right of the center'. This means that they are almost a moderate, but stand on the right when it comes to a few more issues than to the left or vice versa. Think of it as a number line. So what are the differing viewpoints of the right and left?